Description: Chest freezers are a popular type of freezer consisting of a plain white trunk with plastic lining and freezing capabilities. They are different than a traditional upright freezer in terms of storage space and are mainly used for storing large quantities of frozen food. 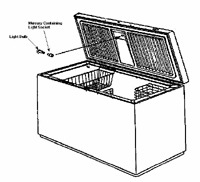 Most chest freezers have features for temperature control and lighting. 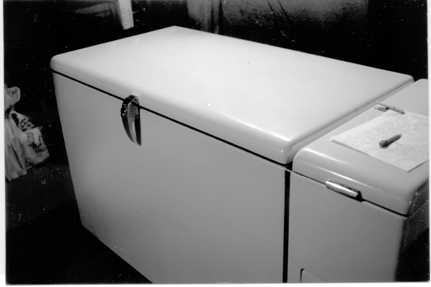 Old freezers, manufactured prior to 2000, may have a mercury tilt switch incorporated in the light socket. 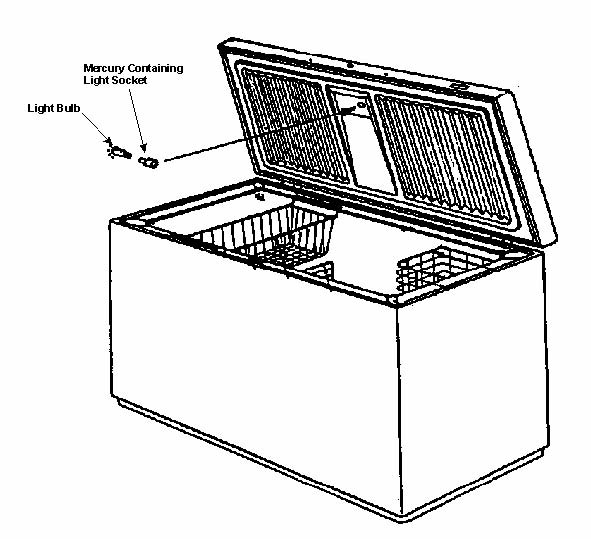 Purpose of the Mercury: The mercury tilt switches in chest freezers are located on the lids and are usually contained in the actual light socket. The switch is used for convenience lighting purposes - when the lid of the freezer is opened, the light turns on. The Appliance Recycling Information Center (ARIC) estimates each switch contains one gram of mercury. Potential Hazards: As long as the chest freezer remains intact, there is a low probability that there would be a mercury release. However, if the mercury switch is not removed prior to the freezer being shredded at a scrap metal recycler or crushed in a landfill, the mercury switch becomes compromised and mercury can be released to the environment. Note: when disposing of an old chest freezer, persons should remove the doors and lid from the chest freezer as a safety precaution prior to sending it for recycling and disposal. Recycling/Disposal: Large appliances, including chest freezers, are considered "white goods" and often require special disposal. Because white goods have market value as scrap metal, they can be recycled and reused as long as the hazardous components, including mercury switches, are removed. Some cities and towns will pick-up white goods from people's homes for recycling. Local appliance recyclers and scrap metal yards may also collect white goods for scrap metal recycling purposes. They should be able to safely remove the mercury switch before shredding the larger component. Cut off the freezer power cord to prevent future use and possible shock hazard. Note: The above instructions are from a document prepared by the Appliance Recycling Information Center (ARIC). Links to additional instructions or other sources of information may be found in the "General References" section at the bottom of the page. Statutes and Other Information: Manufacturers changed the design of the chest freezer in 2000 to incorporate a non-mercury switch; therefore new units that are sold in the U.S. do not contain mercury switches. However, older chest freezers that are now entering the waste stream may contain a mercury switch, and are considered hazardous waste (also because they contain PCBs, CFCs, and other hazardous chemicals) and may be subject to disposal requirements. Many states ban these so-called "white goods" from solid waste disposal facilities and require the hazardous components to be removed prior to scrap metal processing and recycling. Description: A clothing iron is a tool that uses heat and steam to smooth the wrinkles from washed clothes. As a safety feature, most irons contain an automated shut-off, which is controlled by a switch. Some irons manufactured more than 10 years ago contain mercury tilt switches. Modern irons use a non-mercury electronic sensor or mechanical switch to control temperature and turn the iron on and off. Purpose of the Mercury: The reason that mercury tilt switches were widely used in irons and other appliances was because of the conductive and liquid-like properties of mercury. In a mercury tilt switch, as the switch is "tilted" the mercury flows with the switch to complete the circuit by conducting electricity and turning the appliance on or off. In irons the mercury switch controls an electronic shut-off timer, constantly resetting the timer when the iron is in motion. If a person leaves the iron turned on and motionless, the automatic shut-off timer turns the iron off after a certain amount of time, reducing the risk of a fire. If an iron falls, this feature will also prevent it from continuing to release heat potentially causing a burn or fire. Potential Hazards: As long as the iron remains intact, there is a low probability that there would be a mercury release. Recycling/Disposal: There is no easy way to identify whether or not an iron contains a mercury tilt switch. However, if the iron is more than 10 years old and it contains an automatic shut-off, consumers should assume that it contains a mercury switch and dispose of it properly. An easy way for consumers to dispose of their old irons with mercury switches is through their local household hazardous waste collection programs or appliance recyclers. Some states or organizations even have special collection programs for small appliances and household products that contain mercury. This is usually different from white goods recycling and collection programs, which are for large appliances. The mercury switches should be removed by a service technician prior to disposal. The mercury switch should be sent to a recycler for reclamation. The iron's "sole plate" (the flat metal front of the iron that heats up and releases steam) is made of aluminum or stainless steel, which may also be recycled. The remaining components of the iron (plastic or ceramic) may be recycled or disposed of as solid waste. Statutes and Other Information: Irons are no longer manufactured with mercury tilt switches; therefore a new clothing iron that is sold in the U.S. will not contain any mercury. Description: Some residential homes that were built prior to 1961 contain a mercury regulator attached to the gas meter inside the home (often in the basement). Mercury-containing pressure regulators typically have horizontal disc-shaped bodies. These regulators contain between one and two teaspoons of liquid elemental mercury, which is equivalent to approximately 100-135 grams, or about a quarter of a pound. Purpose of the Mercury: The purpose of the regulator is to allow an appropriate flow of natural gas to the household boiler and other appliances. The mercury in the regulator aids in maintaining the gas flow pressure and acts as a seal to the relief vent in the event of a pressure surge. Source: New Hampshire Dept. Environmental Services (NH DES), (mercury gas regulator circa 1903). 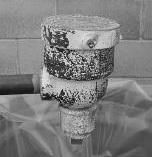 Potential Hazards: Mercury gas flow regulators do not create a spill risk while in service, but mercury spills are common during removal. Extreme care should be taken not to spill any mercury during removal. If a spill does occur, persons should immediately contact their state environmental agency for instructions on proper clean-up and disposal. Persons that have been exposed to a mercury spill should contact the public health department or poison control center. Recycling/Disposal: These devices should be removed only by qualified gas company personnel. In homes scheduled for demolition that have mercury regulators, the owner should contact the local gas company to ensure proper removal of these devices. In other homes, the owner should contact the gas company, so that they will be aware of the presence of the mercury device and remove it properly when the meter needs to be replaced. The mercury must be disposed of as hazardous waste or recycled and reclaimed for reuse. Statutes and Other Information: As technology progressed, other regulators were developed that do not contain mercury. Therefore, new homes built after 1961 do not have mercury gas flow regulators. Description: A furnace is a device used for heating space (also referred to as a boiler or heater). A household furnace is a major appliance that is permanently installed to provide heat to an interior space through intermediary fluid movement, which may be air, steam, or hot water. The most common fuel source for modern furnaces in the U.S. is natural gas; other fuel sources include liquefied petroleum gas, oil, coal, or wood. Many older gas-fired furnaces (manufactured and installed prior to 2000) rely on a standing pilot light, which is a continuously burning gas flame that ignites the gas flow once the furnace is turned on. This system includes a safety shut-off valve, which stops the flow of gas once the pilot light goes out. Sometimes, a mercury flame sensor or thermocouple is used as part of the shut-off valve. It consists of a mercury sensor probe and capillary tube attached directly to the gas valve using a three-prong connector or control box. Mercury flame sensors generally contain more than 1 gram of mercury (1,000 milligrams). Purpose of the Mercury: A mercury flame sensor in a gas furnace is used as a safety device and works similarly to the ones used in gas ovens or other gas-fired appliances. When the pilot light goes out, the contraction of the mercury (due to changes in temperature) results in enough pressure to turn on an electrical switch that stops the flow of electricity and shuts off the gas supply. A mercury flame sensor also shuts the furnace down completely if the temperature inside the furnace exceeds a certain threshold, preventing the risk of fire. Potential Hazards: Service technicians that are removing the mercury flame sensor should be careful not to break the device because doing so may result in a mercury leak or spill. If a spill or break occurs, persons should immediately contact their state environmental agency for instructions on proper clean-up and disposal. They should also contact their public health department or poison control center if they have been exposed to the mercury. Any gas-fired appliance, including a furnace should be disconnected before removing the mercury flame sensor. Once this safety device is removed, persons should immediately destroy or disable the appliance to prevent anyone from using it without its safety device. Recycling/Disposal: Large appliances, including furnaces, are considered "white goods" and require special handling and disposal. Many cities and states, including the IMERC-member states of California, Illinois, Louisiana, Maine, Massachusetts, Minnesota, North Carolina, Rhode Island, and Vermont, ban white goods and other appliances from municipal solid waste disposal. Because white goods have market value as scrap metal, they can be recycled and reused as long as the hazardous components are removed. Some cities and towns will pick-up white goods from people's homes for recycling. Local appliance recyclers and scrap metal yards may also collect white goods for scrap metal recycling purposes. Homeowners should check to make that a qualified service technician is able to safely remove the mercury flame sensor before shredding the larger equipment. Some states, including Massachusetts, Maine, Minnesota, New York, Rhode Island, and Vermont prohibit the disposal of mercury-added products, including mercury flame sensors, in municipal solid waste. Once removed, the mercury device must be handled as a hazardous waste and may be sent to a recycler for reclamation. 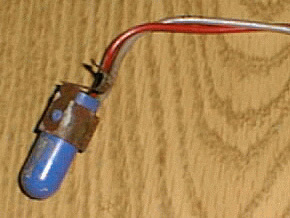 Detach the mercury flame sensor from the pilot light assembly and unplug it from the gas valve. Statutes and Other Information: The use of standing pilots and therefore, the inclusion of mercury flame sensors in gas furnaces has been phased-out. New gas furnaces are manufactured with electronic ignition systems (e.g., intermittent pilot or hot-surface ignition) that do not rely on a standing pilot flame. Therefore, there is no risk of gas build-up should the pilot go out and the need for a safety shut-off device is eliminated. These models are also more energy-efficient. Description: A gas oven/stove/range uses natural gas as the fuel source. A gas oven with a standing pilot has a small, continuously burning gas flame (i.e., pilot flame) located between the front and back burners. When the oven is turned on, this flame lights the gas flowing out of the burners. In order to prevent gas from flowing when the pilot is not lit, these ovens are equipped with a safety valve, which shuts off gas flow to the oven. This safety valve can be a mercury-containing sensor control that is made up of three interconnected parts: a safety valve sensor bulb, a safety valve capillary tube, and a gas safety valve control. Purpose of the Mercury: The mercury contained in flame sensor assemblies in gas ovens regulates the flow of gas. As the mercury is heated, it expands, causing a diaphragm to open and allowing the gas valve to supply gas to the pilot light. If the pilot light goes out, or if a spark ignition pilot fails to light, the mercury in the flame sensor cools and contracts thereby shutting off the gas supply. The standing pilot system, used in gas ovens with the pilot flame, is able to operate independently of any outside power source, which is why this system is often used in cabins, recreational vehicles, or other instances where there is no electrical outlet. Potential Hazards: Service technicians that are removing the flame sensor should be careful not to break the three-piece device because doing so may result in a mercury leak or spill. If a spill or break occurs, persons should immediately contact their state environmental agency for instructions on proper clean-up and disposal. They should also contact their public health department or poison control center if they have been exposed to the mercury. Once the mercury flame sensor is removed, persons should immediately destroy or disable the gas range to prevent anyone from using it without its safety device. Recycling/Disposal: Large appliances, including ovens, are considered "white goods" and require special handling and disposal. Because white goods have market value as scrap metal, they can be recycled and reused as long as the hazardous components are removed. Some cities and towns will pick-up white goods from people's homes for recycling. Local appliance recyclers and scrap metal yards may also collect white goods for scrap metal recycling purposes. A qualified service technician should be able to safely remove the mercury flame sensor before shredding the larger component. The mercury device can then be sent to a recycler for reclamation. Wrap the flame sensor assembly and place in a container for recycling. Links to additional instructions or other sources of information may be found in the "General References" section at the bottom of the page. 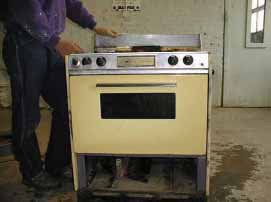 Statutes and Other Information: Gas ovens with mercury flame sensors are subject to sales prohibitions in certain states, including Connecticut, Louisiana, and Rhode Island because of the amount of mercury in the units. Other states, including California, Illinois, Maine, Massachusetts, New Hampshire, New York, and Vermont, have implemented product phase-outs for mercury-containing switches and relays, including flame sensors. Some of these states allow the manufacturers to apply for an exemption, which, if approved, would enable them to legally sell these products in the state after the effective phase-out date. Description: A hair iron (e.g., curling iron, flat iron, straightening iron) is a styling tool that uses heat to change the structure of hair. As the names suggests, curling irons are used to make straight hair curly, while flat irons and straightening irons are used to make curly or wavy hair straight. The automated shut-off on some hair irons is a safety feature that prevents the iron from getting too hot and causing a fire or burning someone's hair. Anecdotal reports suggests that older units may have a shut-off mechanism that is controlled by a switch that contains a small amount of mercury. However, IMERC has not been able to confirm these reports with any photographs as evidence of actual mercury-switch hair irons. Hair irons on the market today do not contain mercury switches. Purpose of the Mercury: To keep the heating element from getting too hot and scorching people's hair, hair irons have a thermal switch that shuts off the current when the heating element gets to a certain temperature. This switch usually consists of a bi-metallic disc (i.e., two different types of metal bonded together) and an electric contact. As the iron heats up, the two metals expand, but at different rates, causing the disc to warp. The circuit is then broken and the electrical current stops flowing through the heating element, turning the hair iron off. According to anecdotal reports, some hair irons manufactured in the past used mercury switches. If true, these irons likely contained a switch and timer similar to those used in clothes irons. Potential Hazards: As long as the hair iron remains intact, there is a low probability that there would be a mercury release. The mercury switch is typically encased in hard plastic casing or stainless steel and is well protected inside the device. Recycling/Disposal: An easy way for consumers to dispose of their old curling irons and other styling devices is through their local household hazardous waste collection programs or appliance recyclers. Some states or organizations even have special collection programs for small appliances and household products that contain mercury. This is usually different from white goods recycling and collection programs, which are for large appliances. If there is a mercury switch, it should be removed by a service technician prior to disposal and sent to a recycler for reclamation. The metal or ceramic heating element of the curling barrel may also be recycled or disposed of as solid waste once the mercury switch (if any) is removed. Statutes and Other Information: Research has not been able to conclude whether mercury tilt switches were indeed ever used in these products in the past. Curling irons, hair irons, and other styling devices sold in the U.S. currently do not contain mercury switches. Description: Mercury light switches were manufactured prior to 1991 and are sometimes found in older homes. These devices look like typical light switches mounted on the wall, but do not make the audible "click" sound when activated and are totally silent. Therefore, these switches are often referred to as "silent light switches." Many of these switches would also glow faintly when they were turned off to aid people in finding them when the room darkens. There is approximately two grams of liquid mercury in the switches located in a metal-encased glass button in the light switch. Purpose of the Mercury: As with most mercury switches, the mercury in the silent light switch is used to complete the electrical circuit. When the switch is lifted up, the mercury flows from one end to the other, submerging an electrical contact point and closing the circuit, thereby turning the light on and off. Potential Hazards: The vial of mercury in the device is sealed, so as long as the switch remains intact, there is a low probability that there would be a mercury release. Recycling/Disposal: When removing or replacing a silent light switch, persons should remove the entire switch from the wall carefully so as not to break the switch and release any of the mercury. 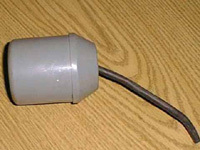 The intact mercury switch can be dropped off at a household hazardous waste collection facility, where the mercury should be sent to a recycler for reclamation. Persons should check with their local municipality to find out about the specific recycling and disposal options (including which products are accepted and applicable fees). Note: Before beginning any electrical repair, make sure that the electrical power is turned off. Statutes and Other Information: Light switches are no longer manufactured with mercury switches. 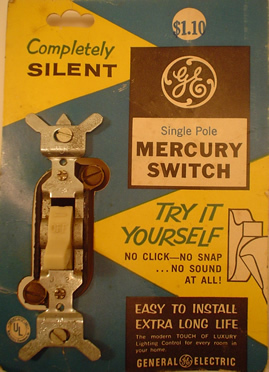 The mercury switch designs were popular in the 1970's, but because of concerns about mercury, manufacturers stopped making them around 1991. Mechanical switches are now mainly used for lighting. However, the mercury switches were never recalled so many still exist in old homes and may be subject to waste disposal restrictions. Description: A space heater is a small portable or mounted device used to warm a small space and keep the surrounding air at a comfortable temperature. Often, portable electric space heaters include a safety switch that shuts off if the heater is tipped over. In a 2001 study of mercury switches in appliances, the Franklin County Solid Waste Management District in Massachusetts identified Presto™ quartz heaters (radiant heaters with a quartz heating element) as having a mercury tilt safety switch inside the heater. Other companies may have used mercury switches in other brands of space heaters more than 10 years ago (pre-1995). 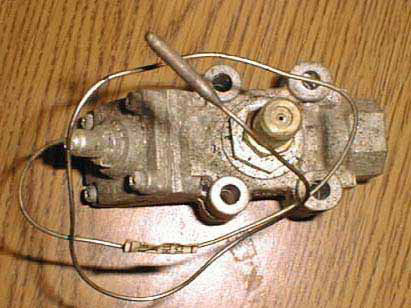 The mercury switch was contained in the bi-metal thermostat that went into the heater. However, manufacturers are no longer using mercury switches for this application today. Modern space heaters use a non-mercury pendulum switch as the safety feature. Purpose of the Mercury: The mercury tilt switches found inside certain brands of space heaters shut off the flow of radiant heat if the heater tips over. This safety feature is meant to reduce the risk of a burn or fire resulting from continuous heat. Potential Hazards: As long as the space heater remains intact, there is a low probability that there would be a mercury release. Recycling/Disposal: Consumers may dispose of their old electronic space heaters through their local household hazardous waste collection programs or solid waste disposal facilities. Persons should check with their local municipality to find out about the specific recycling and disposal options (including which products are accepted and applicable fees). The mercury switches should be removed by a service technician prior to disposal and sent to a recycling facility for reclamation. 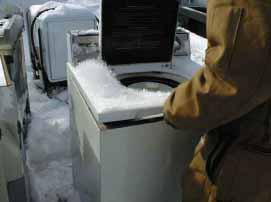 Some cities or towns may also collect space heaters through their small appliance recycling program or white goods recycling program. To identify whether your old space heater contains a mercury switch, you must first unscrew the plastic base of the heater, locate the two power supply wires, and trace these wires to the thermostat area. The Presto™ quartz heater had a metallic disk-shaped mercury switch mounted inside the heater. There was a small piece of plastic used as a mounting insulator attached to this switch. There is a small piece of plastic used as a mounting insulator attached to the switch - remove the disk and black plastic piece as one. Note: The instructions above are from a report prepared by the Franklin County Solid Waste Management District. Statutes and Other Information: Research indicates that the Presto™ quartz heater is no longer manufactured. National Presto Industries Inc., the company that manufactures all Presto brand products, certified to the Interstate Mercury Education and Reduction Clearinghouse (IMERC)-member states that they phased-out the use of mercury switches in their space heaters as of December 31, 2002. Other manufacturers ceased using mercury switches in other brands of space heaters by 1995. Description: A sump pump is a pump that is used to remove water that has accumulated in a small area, and is commonly used in home basements where there is a potential for flooding. Sump pumps often contain float control switches to turn the equipment on and off when water reaches a certain level. 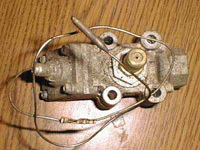 Old float switches typically consisted of a hollow cylinder or sphere with approximately 3.3 grams of mercury located in the bulb of the float. Most new float switches are made without mercury (e.g., dry reed switches, optic sensors, mechanical ball switches). Purpose of the Mercury: The float switch is the part of the sump pump that activates the pump based on the water level. When pumping out accumulated water, the mercury float switch keeps the circuit closed until the water level and float reach a certain height. When the water and float drop below this level, the mercury in the float slides down, opening the circuit and shutting off the pump. This prevents the pump from running dry and subsequently burning out. Potential Hazards: As long as the sump pump remains intact, there is a low probability that there would be a mercury release. Recycling/Disposal: Consumers may dispose of their old sump pumps through their local household hazardous waste collection programs or solid waste disposal facilities. Persons should check with their local municipality to find out about the specific recycling and disposal options (including which products are accepted and applicable fees). The mercury float switches should be removed by a service technician prior to disposal and sent to a recycler for reclamation. Some cities or towns may also collect these items through their small appliance recycling program or white goods recycling program. If recycling only the float switch and not the entire sump pump system, make sure to remove the bulb of the float from the liquid release apparatus carefully so as not to expose the mercury. The mercury float switch should be sent to a household hazardous waste collection facility or to a mercury recycler for reclamation. A wire attached to the float is a good indication that the sump pump contains a mercury switch. The mercury is located in the bulb of the float. Non-mercury float switches do not have attached wires; instead they have a metal guide. Safely recycle the intact mercury float switch. Statutes and Other Information: Because of the amount of mercury in the float switches found in sump pumps, these products are subject to sales restrictions in certain states, including Connecticut, Louisiana, and Rhode Island. These mercury float switches also fall into the category of mercury-containing switches and relays subject to sales restrictions in other states, including California, Illinois, Maine, Massachusetts, Minnesota, New Hampshire, New York, and Vermont. These states however, do allow manufacturers to apply for an exemption, which, if approved, would allow them to sell these products in the state after the effective phase-out date. However, to date, no exemptions have been granted for these products, so they are effectively banned from sale. Description: A television set, usually called a television, TV set, or TV, is a device used to view television broadcasts. A standard television consists of antennae, multiple electronic circuits, including a tuner for receiving and decoding broadcast signals, speakers, and a monitor or display screen. There are also a variety of inputs and outputs for additional television features (e.g., cable box, VCR/DVD player, video-game system, etc.). Mercury tilt switches may also be found in some older analog television sets. They consist of small tubes with electrical contacts at one end of the tubes. Televisions are no longer manufactured with mercury tilt switches. Purpose of the Mercury: Mercury tilt switches are activated by a change in position. When the television is tilted, the mercury flows to either end of the tube, cutting off the circuit on one end, while opening it on the other side. These devices often functioned as on/off switches. Potential Hazards: As long as the television set with a mercury tilt switch remains intact, there is a low probability that there would be a mercury release. Recycling/Disposal: Some states, including Massachusetts, Maine, Minnesota, New York, Rhode Island, and Vermont prohibit the disposal of mercury-added products, including mercury switches, in municipal solid waste. The mercury device must be handled as a hazardous or universal waste and may be sent to a mercury recycler for reclamation. Televisions contain other toxic heavy metals, such as lead and cadmium, which make them subject to hazardous waste requirements. Cathode ray tubes (CRTs), which are found in older television screens and monitors, contain a large amount of lead, and thus have been banned from solid waste disposal in Massachusetts since 2000. Many other cities and states, including California, Connecticut, Illinois, Maine, Minnesota, New Hampshire, New Jersey, New York City, North Carolina, Oregon, and Rhode Island ban CRTs and/or television sets from disposal. The best option to recycle old television sets is through an electronics recycling program. There are a variety of electronics recycling programs available in the U.S. that will accept televisions. Most of these are drop-off programs, where consumers bring their items to a specific store or location for recycling. Sometimes this service is sponsored by the manufacturer and offered free-of-charge; other times the program requires a small fee to cover the costs of packaging, shipment, and recycling. Another way for consumers to dispose of their old televisions is through their local household hazardous waste collection programs or appliance recyclers. Some municipalities have specific electronics programs for recycling computers and televisions from homeowners or small businesses. Persons should check with their local municipality to find out about the specific recycling and disposal options (including which products are accepted and applicable fees). Persons can also check with local TV repair shops, electronics retailers, or electronics recycling companies to see if they accept televisions for recycling. The hazardous materials should be removed by a service technician prior to the television's ultimate disposal. The mercury tilt switch should be sent to a recycler for reclamation. Statutes and Other Information: Television sets are no longer manufactured with mercury tilt switches; therefore a new television that is sold in the U.S. will not have a mercury switch. However, older televisions that are now entering the waste stream may contain a mercury switch, and are considered hazardous waste (also because they contain lead, cadmium, and other hazardous chemicals) and may be subject to disposal requirements. Note: many new flat panel televisions manufactured and sold in the U.S. contain fluorescent lamps, which do have mercury. These include LCD (liquid crystal display), DLP (digital light projection), LCOS (liquid crystal on silicon), and Plasma television screens and monitors. Manufacturers of these products are required to notify the IMERC-member states of their manufacture and sale in the U.S. The states that require this Notification include: Connecticut, Louisiana, Maine, Massachusetts, New Hampshire, New York, Rhode Island, and Vermont. These televisions are subject to the same disposal restrictions as the older television sets described above. Description: A washing machine is designed to clean laundry using water. Washing machines use a combination of mechanical energy, thermal energy, and chemical action, to get the clothes clean. Older washing machines may contain a mercury switch inside the lid for turning the machine on and off when it is closed and opened, respectively. According to the Association of Home Appliance Manufacturers (AHAM), mercury switches were used only in washing machines manufactured prior to 1972. Therefore, washing machines manufactured after this date do not contain a mercury switch and instead utilize a mechanical switch for turning the washer on and off. Purpose of the Mercury: Mercury tilt switches, small tubes with electrical contacts at one end of the tubes, may be found inside the lids of old washing machines. The mercury switch functions as an on-off switch for when the lid is opened and closed. When the lid is tilted, the mercury in the switch flows to either end, cutting off the circuit on one end, while opening it on the other side. This safety feature is particularly important because it reduces the risk of someone being injured by reaching into the machine while it is in the spin-cycle. Potential Hazards: As long as the washing machine remains intact, there is a low probability that there would be a mercury release. However, if the mercury switch is not removed prior to shredding of these large appliances by scrap metal recyclers or crushed in landfills, the mercury switch becomes compromised and mercury can be released to the environment. Recycling/Disposal: Large appliances, including washing machines, are considered "white goods" and require special disposal procedures. Because white goods have market value as scrap metal, they can be recycled and reused as long as the hazardous components, including the mercury switches are removed. Some cities and towns will pick-up white goods from people's homes for recycling. Local appliance recyclers and scrap metal yards may also collect white goods for scrap metal recycling purposes. They should be able to safely remove the mercury switch before shredding the larger component. The mercury tilt switch is mounted to the hinge pin inside the washing machine lid. 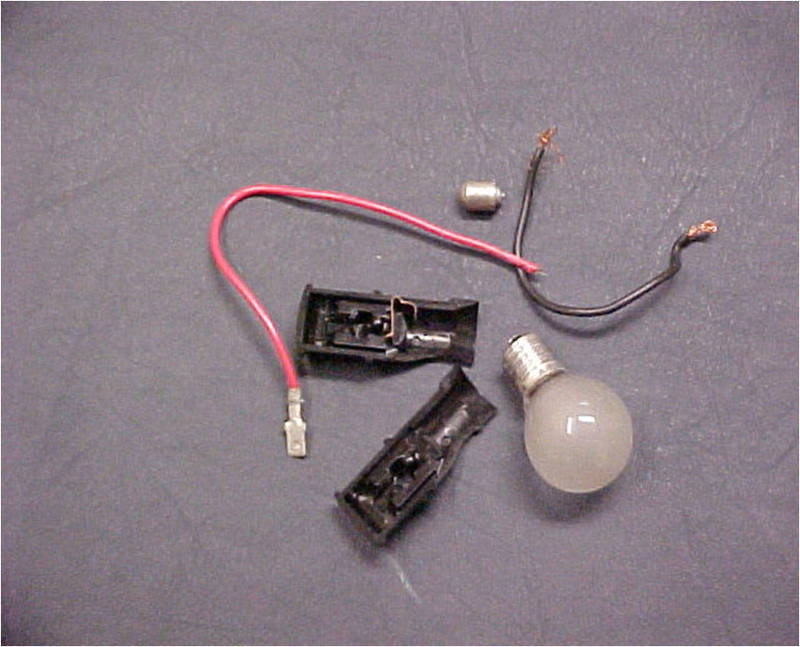 It is cylindrical in shape, usually consisting of a hard plastic casing, although in some models it is in a glass ampoule, and has two wire leads coming from it. 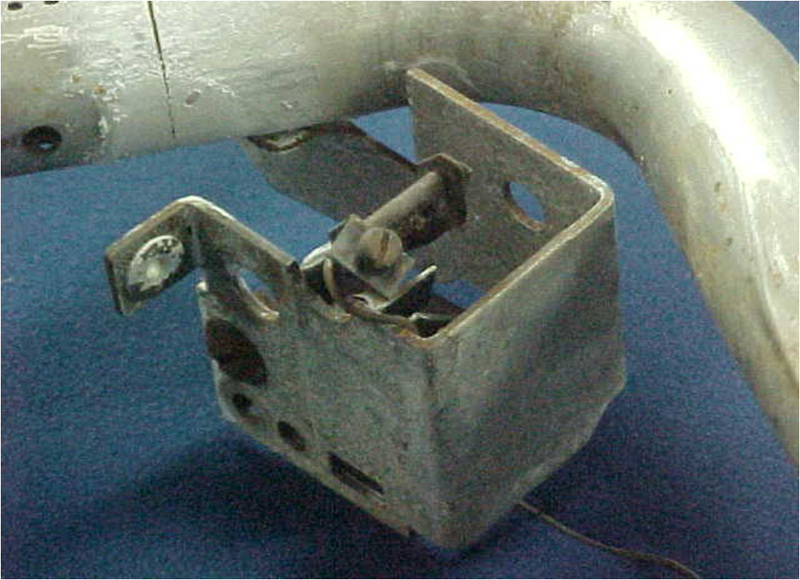 Some models of washing machines also used mercury switches in the dynamic stabilizing system to shut off the machine in severe out-of-balance conditions. These stabilizing switches are located in the back of the washing machine. Remove the fastening bolts and disconnect the wires so that you can remove the entire stabilizing switch. If there is a mercury-containing switch (as opposed to a manual switch), the mercury will be clearly visible inside the switch unit. Place the entire mercury switch in a container to be sent for reclamation and recycling. Statutes and Other Information: Most of the pre-1972 washing machines have entered the waste stream already, but those being discarded now may be subject to waste disposal restrictions because of the mercury they contain.